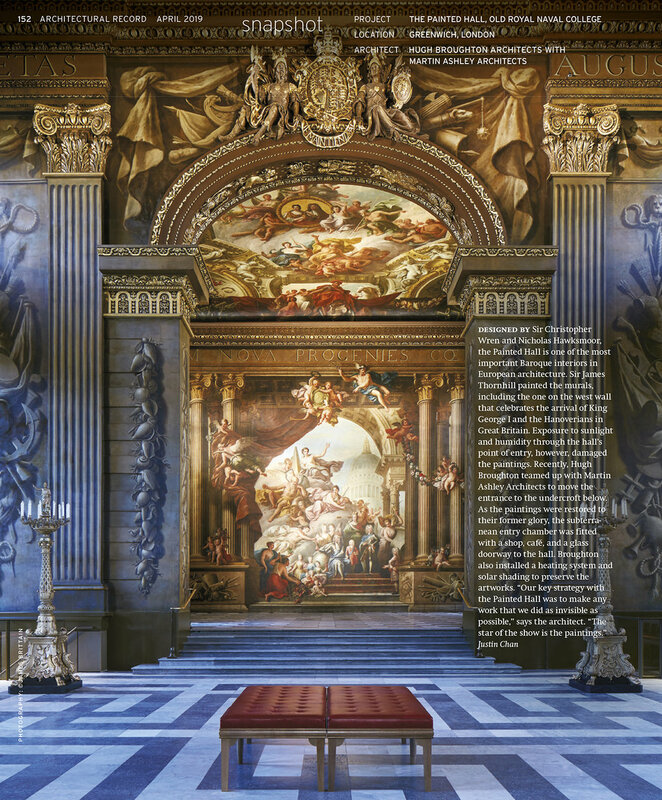 James has been commissioned by Hugh Broughton Architects to photograph their conservation and refurbishment of The Painted Hall at the Old Royal Naval College in Greenwich, London, UK. The Painted Hall was designed by Sir Christopher Wren and Nicholas Hawksmoor and is decorated with a spectacular ceiling and west wall by James Thornhill. It’s considered one of the most important baroque painted interiors in Europe. James’s photographs have have been widely published, including in this month’s issue of America’s Architectural Record magazine.